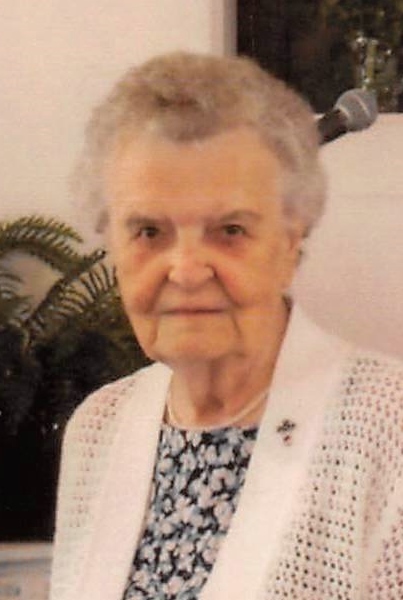 Lois Faye Noah, 91, of Connersville passed away Thursday morning, February 7, 2019, surrounded by her family at her home. One of six children of Howard and Mary Grace Robbins Herrmann, Lois was born in Laurel, Indiana on August 2, 1927, and graduated from New Salem High School. On June 29, 1950, Lois married Clarence Noah in Laurel. Mr. Noah passed away in November of 2000. For several years, Lois was employed at a dress factory in Greensburg before working for 15 years at Stant Manufacturing in Connersville, retiring in 1985. She was a member of Buena Vista Christian Church and was a loving foster parent. In her leisure time, she enjoyed playing Scrabble, reading, gardening, and baking pies. Survivors include her daughter, Rhonda McPherson of Connersville; a son, Dale (Teresa) Noah of Springhill, Tennessee; a granddaughter, Bethany (Lonnie) Paul of Connersville; two great-grandchildren, Mackenzie and Jayden Paul, both of Connersville; five siblings, Aljean Bender of Indianapolis, Anita (Everett) Quinton of Rushville, Doris Williams of Toledo, Ohio, Don (Sharon) Herrmann of Laurel and Jerry (Doty) Herrmann of Marion, Indiana. Lois is also survived by many dear brothers and sisters-in-law. Besides her husband of 50 years, Clarence Noah, Lois was preceded in death by her parents. A memorial service will be conducted at 11:00 a.m. on Saturday, March 2, 2019, at Community Bible Church, 4141 Nickel Plate Road, Milton, Indiana 47357. Private burial will be in Clarksburg Cemetery. Miller, Moster, Robbins Funeral Home has been entrusted with the arrangements. In lieu of flowers, memorial contributions may be made to Samaritan’s Purse International Relief Fund, and online condolences may be made anytime at millermosterrobbins.com.